Please remember to compare prices of our wholesale hand towels with others before going ahead with your hand towels purchase. At TOWEHUB you would find wholesale hand towels at the best prices available matched with the optimum quality level of product. Our bleach resistant hand towels are the best deal in town. If you are in need of wholesale hand towels for your Beauty Salon, Tanning Salon or Nail Salon please click on the Salon Towels section. 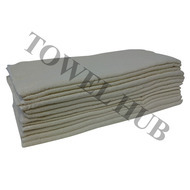 Towel Hub hand towels come in various sizes such as 15x25 hand towels, 16x27 hand towels, 16x28 hand towels, 16x30 hand towels. 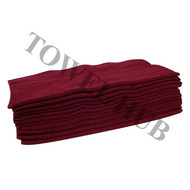 Towel Hub carries wholesale hand towels in weights ranging from 2.25 lb to 4.5 lb. At Towel Hub you can find wholesale bath towels for your business needs. We carry white bath towels in various size and weights. Our white bath towels come in two qualities i.e. Economy and Premium. Our wholesale bath towels are used by customers who need white bath towels such as athletic departments, gyms, nursing homes, motels, hotels, schools, massage parlors, hospitals and many other businesses. We carry wholesale bath towels in sizes ranging from 20x40 to 27x54 and our white bath towels come in weights ranging from 5 lb to 15 lb. You will find the best prices on wholesale bath towels at Towel Hub. Our white bath towels are made of 86% cotton and 14% polyester. This blend ratio is designed to provide the most optimum strength to our wholesale bath towels which enables them to withstand repeated laundry washings during commercial laundries. The terry loops on our wholesale white bath towels are all made of 100% cotton. Our Salon towel collection has been designed to cater to the needs of all types of salons. May those be beauty salons, tanning salons, nail salons and spas, hair salons. Our collection of salon towels serves the budget minded salons to the very high end salons. Our Bleach Resistant & Color safe salon towels also known as the BLEACH SHIELD ® salon towels are most probably the best of their kind available in the whole market. We offer these bleach proof & colorsafe salon towels @ wholesale prices and ship direct from our warehouse. The prices on bleach resistant & colorsafe salon towels that you will find @ TowelHub are not available anywhere else. It serves the budget minded salons to the very high end salons. Our goal is to quickly deliver towels to salons at their doorstep at prices way lower than their neighborhood department stores. Please keep on helping us by providing your feedback in order to improve our services at supplying quality salon towels continuously. Embroidery companies, Printing companies & Promotional product companies are encouraged to use this great opportunity to buy excellent quality product @ the best possible wholesale pricing!!! 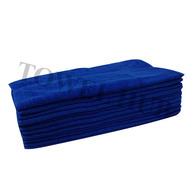 TowelHub is a supplier of excellent quality Golf Towels, Fingertip Towels & Service towels for golf and country clubs. Our Golf towels come in many colors and sizes. You can get wholesale golf towels with corner grommet and hook in fringed as well as hemmed. We also supply tri-folded golf towels with center grommet & hook. Our terry velour wholesale golf towels are one of the finest available in the country at the moment. One side of the golf towel has terry loops whereas the otherside is velour with a very soft and plush look and feel. Buy wholesale golf towels from TowelHub and you save always! Beach Towels are some of the most durable towels on the market. At Towel Hub, you can find towels for all your sunbathing needs. With all of Towel Hub’s beach towels being made of a 100% cotton terry velour fabric, it makes for an excellent quality variety for a towel. They are available in a variety of colors, including white, which can be custom embroidered or screen printed on. This makes for a fun promotional product, or a great gift. 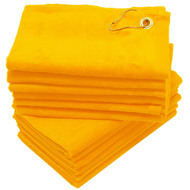 With sizes 30x60 and 35x70, they’re perfect for when you need a larger, heavier towel. They can be substituted for all your towel needs, as they are heavy weight and extremely absorbent. 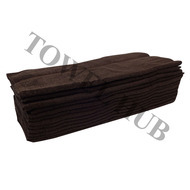 Towel Hub supplies gym towels in various sizes to gyms and workout businesses all over the country. 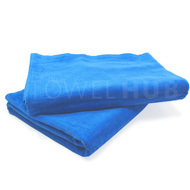 You can find the most well priced wholesale gym towels at the Towel Hub. Our workout towels come in various sizes ranging from the 12x12 washcloths to 16x27 gym towels to 20x40 gym towels to 22x44 gym towels to 24x48 gym towels. If you need bigger sizes for your workout towels then we also have 24x50 gym towels, 25x54 gym towels and 27x54 gym towels. Our workout towels are made of 86% cotton and 14% polyester. The loops of the towels are all made of 100% cotton and the ground is made of the blend. The overall content is 86/14 Cotton/Polyester. This blend ratio gives the towel that additional strength which is needed to withstand repeated commercial laundering. Thus making our athletic workout towels more durable. Unfortunately all gyms and workout businesses have to go through a lot of loss due to their towels being stolen on a daily basis. Our aim at Towel Hub is to be able to provide gym towels and workout towels to gyms and athletic centers at the best possible wholesale prices directly from our warehouse. 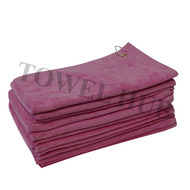 Fingertip towels are towels that have gone through the process of shearing on one or both sides of the terry towel. Generally it is also know as velour. 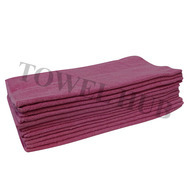 Towel Hub carries fingertip towels in many colors at wholesale prices. We offer smaller quantities such as starting from 1 dozen fingertip towels to as many as you like at wholesale rates. Our fingertip towels come in various types i.e. hemmed, fringed ends, with corner grommet and hook. If you are looking to buy superior quality fingertip towels at wholesale prices then you have come to the right place. Our fingertip towels are made of 100% Premium Plus Cotton. 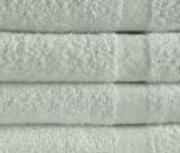 Towel Hub is a leading producer and supplier of Spa towels. 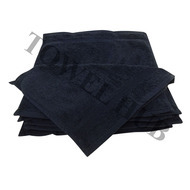 We supply wholesale spa towels directly from our warehouse. If you are interested you can become a distributor of our spa towels and resell to spas and salons. We also supply spa towels directly to spas all over the country. Our spa towels come in various sizes and weights. Most of them being white towels. We carry spa towels which are 100% cotton as well as spa towels which have an overall content of 86/14 cotton/polyester but the loops are made of 100% cotton. The blend ratio just gives the spa towels that extra strength needed to withstand commercial laundering. Our spa towels are in sizes 16x27, 16x28 and 16x30, 22x44, 24x48, 24x50, 25x54 and 27x54. The weight range is from 3 lbs per dozen to 17 lbs per dozen. Towel Hub is a leading producer and supplier of washcloths at the best prices available in the market. Our washcloths come both in 100% cotton and in a blend of 86/14 cotton/polyester. The blended wascloths also have their loops made of 100% cotton. The blend ratio gives the washcloths that extra strength which is needed to last repeated laundry washings. Our washcloths come in two qualities i.e. Economy and Premium. The economy washcloths can be used for general purpose clearing purposes and the premium washcloths are used by motels, bed n breakfast, restaurants, hotels and many other businesses. Our washcloths are excellent quality and very absorbent. With the rapid environmental changes going on in our everchanging world Towel Hub provides an opportunity for everybody to start using cotton based products which are biodegradable for their cleaning needs and move away from any products they are currently using which leads to cutting of more trees. Our washcloths will last long and be the best in prices. 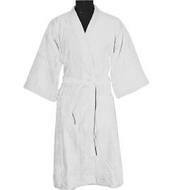 At Towel Hub we carry the finest quality Spa bath robes available in Terry, Terry Velour and Waffle weave fabrication. The Terry fabric bath robes have terry loops on the inside as well as the outside of the bath robes. The Terry Velour bath robes have the terry loops on the inside and the plush velour side on the outside of the Spa bath robe. The velour surface of the Spa robe is perfect for monogramming. Our waffle weave bath robes are lighter in weight and a favorite of customers due to their low price point. Towel Hub provides these Spa bath robes at a low wholesale price. The quality of our product at the price point that it is being offered is unmatchable in the industry. We at Towel Hub provide quality Bath Wraps or Shower Wraps whatever you might want to refer them to as at low wholesale pricing for your domestic or business use. Our Shower bath wraps are made of Terry Velour fabric with the velour side on the outside. These Shower bath wraps towels are excellent for customer embroidery or printing on them. Can be monogrammed to represent your Spa or Salon name or any business name for that matter. Description: Wholesale Black Kimono Waffle bathrobes. Bulk price offer here at Towel Hub. These bath robes are 65% Cotton and 35% Polyester blend. Light weight and excellent to use by Spas, Hotels, Resorts and for domestic use. Great price offer! 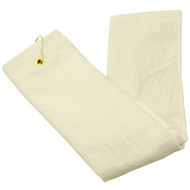 Description: Tri fold Beige Golf towels made with Terry Velour 100% cotton fabric. Brass grommet and hook. Excellent quality, low price. Perfect to Screen print or Custom embroider on. Available in wholesale at low low pricing! 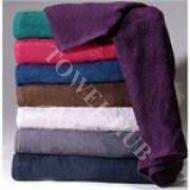 Description: Aqua velour hand towels available in bulk. One side of fabric is terry the other velour. Can add a brass grommet and hook to make a golf towel. Nice and plush. Great to custom embroider and screen print on to make promo towel. Low wholesale price offer! Description: Wholesale Bleachshield Charcoal Hand towels made from 100% Cotton which are bleach proof, colorsafe, stain resistand and perfect for salons, gyms, and spas. Description: Quality Hand towels available in bulk. Beautiful Turquoise color hand towel. Made with Premium Plus 100% Ring Spun Cotton. Great to use for Salons, Spas, Sports, Gyms, Team or any other general purpose where you need a nice small hand towel. Low price! Description: Black velour bath robes with shawl collar and terry velour fabric. Bulk sale offer. Great for Spas, Hotels & Resorts. Superb quality, plush and very comfortable. Available at a great price for the kind of quality bath robe this is. Description: Excellent quality wholesale Royal Blue bath robes with shawl collar and terry velour fabric. Bulk offer. Great for Spas, Hotels & Resorts. Superb quality, plush and very comfortable. Available at a great price for the kind of quality bath robe this is. 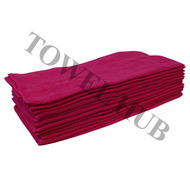 Description: Wholesale Hot Pink hand towels. Bulk price offer. Made with ring spun 100% cotton. Perfect to use anywhere you need a nice vibrant color modestly prices hand towel. Great to use for salons, sports or anywhere you need a small size hand towel. Low price! Description: Wholesale Beige color hand towel. Bulk price offer. Made with ring spun 100% cotton. 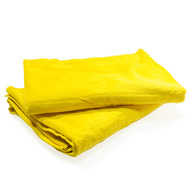 Perfect to use anywhere you need a nice vibrant color modestly prices hand towel. Great to use for salons, sports or anywhere you need a small size hand towel. Low price! Description: Bleach proof, Bleach Shield¨, bleach-resistant Gym Hand Towels. Appropriate for High-end Gyms & Athletic Centers. Wholesale prices! Description: Premium Plus Hot Pink Bath Towels made with 100% Ring Spun Cotton terry bath towels with a beautiful dobby hem. Available at a very nice wholesale price! 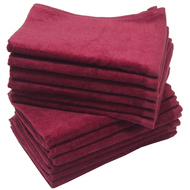 Description: Wholesale Burgundy bath towels in bulk. Minimum order 1 dozen. Made with Premium Plus ring spun 100% Cotton. Dobby border and End dobby hem. Tuck-in selvage therefore no chance of fraying. Excellent quality bath towel for your business at a great price! Description: Wholesale Dark Brown bath towels in bulk. Minimum order 1 dozen. Made with Premium Plus ring spun 100% Cotton. Dobby border and End dobby hem. Tuck-in selvage therefore no chance of fraying. Excellent quality bath towel for your business at a great price! 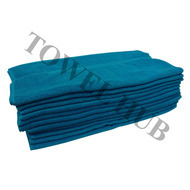 Description: Premium Plus Turquoise color Hand Towels in Bulk. Dobby border and end dobby hem. Perfect for Salons, Spas, Sports, Teams, Gyms or any high-end use. Available at a great low price! Matching Bath towels and Washcloths available as well! 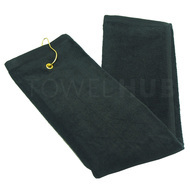 Description: Charcoal color Premium Plus Washcloths available in bulk. Wholesale offer, 100% cotton, Reactive Dyed, Dobby Border. Very good quality washcloths perfect to use anywhere you need a small size towel. Wholesale price offer! 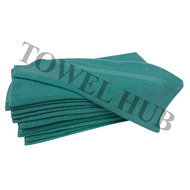 Description: Turquoise color Premium Plus Washcloths available in bulk. Wholesale offer, 100% cotton, Reactive Dyed, Dobby Border. Very good quality washcloths perfect to use anywhere you need a small size towel. Wholesale price offer! 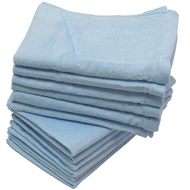 Description: Aqua color Premium Plus Washcloths available in bulk. Wholesale offer, 100% cotton, Reactive Dyed, Dobby Border. Very good quality washcloths perfect to use anywhere you need a small size towel. Wholesale price offer! Description: Hot Pink color Premium Plus Washcloths available in bulk. Wholesale offer, 100% cotton, Reactive Dyed, Dobby Border. Very good quality washcloths perfect to use anywhere you need a small size towel. Wholesale price offer! 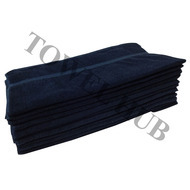 Description: Navy color Premium Plus Washcloths available in bulk. Wholesale offer, 100% cotton, Reactive Dyed, Dobby Border. Very good quality washcloths perfect to use anywhere you need a small size towel. Wholesale price offer! 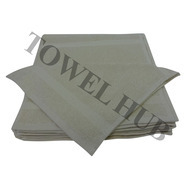 Description: Beige color Premium Plus Washcloths available in bulk. Wholesale offer, 100% cotton, Reactive Dyed, Dobby Border. Very good quality washcloths perfect to use anywhere you need a small size towel. Wholesale price offer! 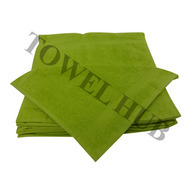 Description: Lime Green color Premium Plus Washcloths available in bulk. Wholesale offer, 100% cotton, Reactive Dyed, Dobby Border. Very good quality washcloths perfect to use anywhere you need a small size towel. Wholesale price offer! 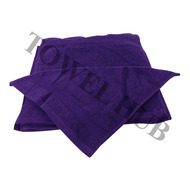 Description: Purple color Premium Plus Washcloths available in bulk. Wholesale offer, 100% cotton, Reactive Dyed, Dobby Border. Very good quality washcloths perfect to use anywhere you need a small size towel. Wholesale price offer! 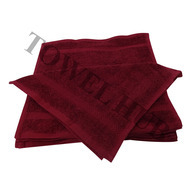 Description: Burgundy color Premium Plus Washcloths available in bulk. Wholesale offer, 100% cotton, Reactive Dyed, Dobby Border. Very good quality washcloths perfect to use anywhere you need a small size towel. Wholesale price offer! 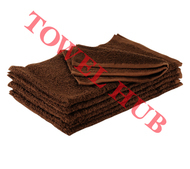 Description: Dark Brown color Premium Plus Washcloths available in bulk. Wholesale offer, 100% cotton, Reactive Dyed, Dobby Border. Very good quality washcloths perfect to use anywhere you need a small size towel. Wholesale price offer! 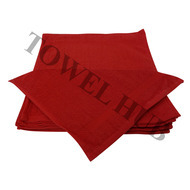 Description: Red color Premium Plus Washcloths available in bulk. Wholesale offer, 100% cotton, Reactive Dyed, Dobby Border. Very good quality washcloths perfect to use anywhere you need a small size towel. Wholesale price offer! 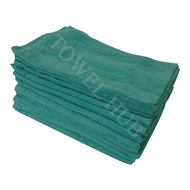 Description: Wholesale Turquoise bath towels in bulk. Minimum order 1 dozen. Made with Premium Plus ring spun 100% Cotton. Dobby border and End dobby hem. Tuck-in selvage therefore no chance of fraying. Excellent quality bath towel for your business at a great price! Description: Wholesale Aqua color bath towels in bulk. Minimum order 1 dozen. Made with Premium Plus ring spun 100% Cotton. Dobby border & End dobby hem. Tuck-in selvage therefore no chance of fraying. Excellent quality bath towel for your business at a great price! Description: Wholesale spa bath robes in Kimono style. Terry Velour fabric, nice and plush spa bath robes. Can be used by businesses needing spa bath robes or for domestic use. Can be monogrammed or screen printed on the velour surface of spa robe. Great price offer! Description: Wholesale Lime Green hand towels. Bulk price offer. Made with ring spun 100% cotton. Perfect to use anywhere you need a nice vibrant color modestly prices hand towel. Great to use for salons, sports or anywhere you need a small size hand towel. Low price! 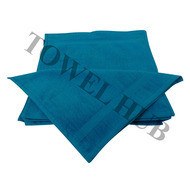 Description: Wholesale hand towel on offer in Neon Blue color. Bulk price offer. Great buy and a beautiful vibrant color. Standard quality perfect to use anywhere you need a small size hand towel for sports, salons, gyms, service towels etc. Great price offer!!! Description: Excellent quality terry velour beach towel in heavier weight available in size 35x65. Great to screen print or embroider on the velour side of the towel. 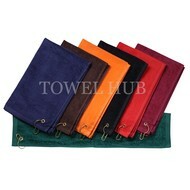 Description: These 6-pack Wholesale terry velour golf towels with Tri fold brass grommet and hook. Excellent quality towels at a low wholesale price offer. Perfect to custom embroider, screen print, heat transfer print on the velour side. Make great golf gifts!!! 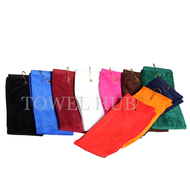 Description: Wholesale terry velour golf towels with corner brass grommet and hook. Excellent quality towels at a low wholesale price offer. Perfect to custom embroider, screen print, heat transfer print on the velour side. Make great golf gifts!!! Description: A very nice quality velour bath wrap made with 100% ring spun cotton. One side is sheared to make a soft velour surface which can be monogrammed or screen printed on. Very soft and luxurious bath wrap. Low wholesale price offer here! 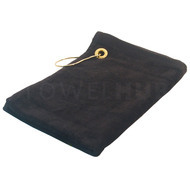 Description: Excellent quality 6-Pack velour golf towels with brass corner grommet & hook. Great to screen print or custom embroider on. Used in Golf tournaments and other promotional activities. Low price offer! Free Shipping!!! Description: Wholesale White Velour Terry Bath Wraps for women. Bulk price offer. Great to use at Spas, Resorts, Hotels. Velour surface of the bath wrap can be screen printed or monogrammed as well. Nobody beats the price for this quality offer! Only at Towel Hub! 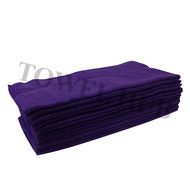 Description: 16x27 multiple Color Hand Towels in Bulk. A little bigger than the 15x25 size color towels. DOUBLE STITCHED at hems makes them last repeated laundry washings. Easy to dry nice mid-grade towels to use for sports, salons, gyms. Great price offer! Description: Excellent quality bath towel wraps for men in white color. Terry Velour fabric with terry loops inside and the velour (brushed loops) outside. Perfect to monogram or screen print on. Great to use in Spas, Hotels & Resorts. High quality at a great price! Description: Excellent quality wholesale white bath robes with shawl collar and terry velour fabric. Bulk sale offer. Great for Spas, Hotels & Resorts. Superb quality, plush and very comfortable. Available at a great price for the kind of quality bath robe this is. 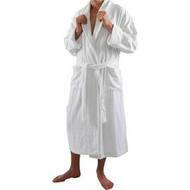 Description: White wholesale shawl collar terry velour bath robes. Bulk price offer. Made with 100% Ring Spun cotton. Excellent quality to use for Spas, Hotels & Resorts. Plush and good quality very durable. Very good wholesale price offer here at Towel Hub. 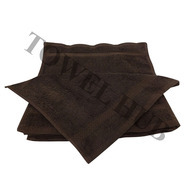 Description: Wholesale dark brown standard premium towels available in bulk. 100% ring spun cotton. Great to use for Sports, Salons, Teams, Service towels, Gyms, Athletic Centers and anywhere you need a small size affordable hand towel. Great price offer!!! 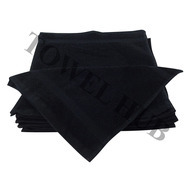 Description: Excellent quality Black wholesale golf towel offer in bulk. Sold by the dozen. Comes with a corner brass grommet & hook. Terry Velour fabric. Perfect to screen print or custom embroider on. Makes a great golf gift. Awesome deal on this golf towel here!!! 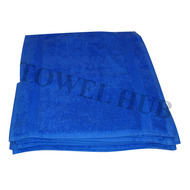 Description: Wholesale Royal Blue bath towels in bulk. Minimum order 1 dozen. Made with Premium Plus ring spun 100% Cotton. Dobby border & End dobby hem. Tuck-in selvage therefore no chance of fraying. Excellent quality bath towel for your business at a great price! 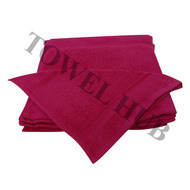 Description: Wholesale Pink color bath towels in bulk. Minimum order 1 dozen. Made with Premium Plus ring spun 100% Cotton. Dobby border & End dobby hem. Tuck-in selvage therefore no chance of fraying. Excellent quality bath towel for your business at a great price! Description: Beautiful Wholesale Pink Golf Towels with a brass corner grommet & hook. Terry loops on one side of towel and velour on the other side. Excellent to custom embroider or screen print on for golf events. Available at amazing low prices here! 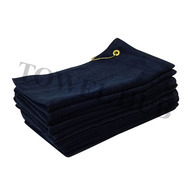 Description: Beautiful Wholesale Navy Golf Towels with a brass corner grommet & hook. Terry loops on one side of towel and velour on the other side. Excellent to custom embroider or screen print on for golf events. Available at amazing low prices here! 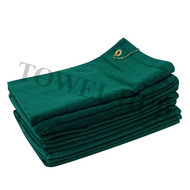 Description: Beautiful Wholesale Hunter Green Golf Towels with a brass corner grommet & hook. Terry loops on one side of towel and velour on the other side. Excellent to custom embroider or screen print on for golf events. Available at amazing low prices here! 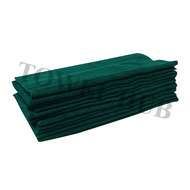 Description: Wholesale Green color bath towels in bulk. Minimum order 1 dozen. Made with Premium Plus ring spun 100% Cotton. Dobby border & End dobby hem. Tuck-in selvage therefore no chance of fraying. Excellent quality bath towel for your business at a great price! 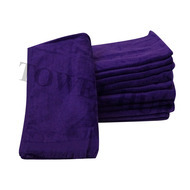 Description: Wholesale Purple color bath towels in bulk. Minimum order 1 dozen. Made with Premium Plus ring spun 100% Cotton. Dobby border & End dobby hem. Tuck-in selvage therefore no chance of fraying. Excellent quality bath towel for your business at a great price! 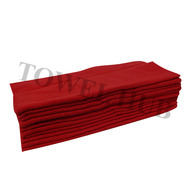 Description: Wholesale Red color bath towels in bulk. Minimum order 1 dozen. Made with Premium Plus ring spun 100% Cotton. Dobby border and End dobby hem. Tuck-in selvage therefore no chance of fraying. Excellent quality bath towel for your business at a great price! Description: Wholesale offer on Lime Green bath towels sold in bulk. Minimum order 1 dozen. Made with Premium Plus ring spun 100% Cotton. Dobby border and End dobby hem. Tuck-in selvage therefore no chance of fraying. Excellent quality bath towel for your business! Description: Premium quality large size bath towel made of 100% Ring Spun Cotton Yarn. DOUBLE STITCHED at hems for long laundry life. A nice premium towel to have for motels, hotels, resorts etc. Available at a great price offer! 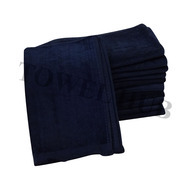 Description: An excellent premium quality bath towel for hotels and motels. DOUBLE STITCHED at hems for long laundry life. Made of 100% ring spun cotton with a fancy dobby border. Available at a very nice price too! Description: Wholesale offer on Hunter Green hand towels. Standard Premium quality. Perfect to use for Country clubs, Golf courses, Salons, Schools, Teams and where ever a small hand towel is needed. DOUBLE STITCHED at hems for durability during washings. Great price! 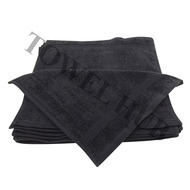 Description: Black Premium Plus Washcloths. Wholesale offer, 100% cotton, Reactive Dyed, Dobby Border. Very good quality washcloths perfect to use anywhere you need a small size towel. 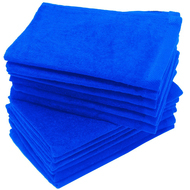 Description: Royal Blue Premium Plus Washcloths. Wholesale offer, 100% cotton, Reactive Dyed, Dobby Border. Very good quality washcloths perfect to use anywhere you need a small size towel. 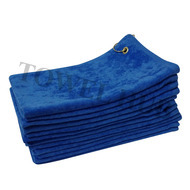 Description: Royal Blue Beach Towels Terry Velour wholesale offer 35x70 size thicker fabric supersoft. Excellent for Screen printing or Custom Embroidery on. Can personalize these beach towels. 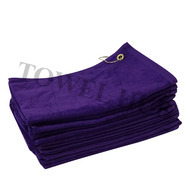 Description: Beautiful Wholesale Purple Golf Towels with a brass corner grommet & hook. Terry loops on one side of towel and velour on the other side. Excellent to custom embroider or screen print on for golf events. Available at amazing low prices here! 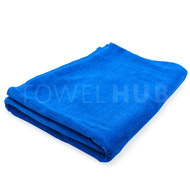 Description: Wholesale Royal Blue Fingertip Towels Terry Velour made of a very nice 100% ring spun cotton. Terry loops on one side of towel and plush velour surface on the other side. Excellent for Custom Embroidery, Screen Printing, Heath transfers. Great price!